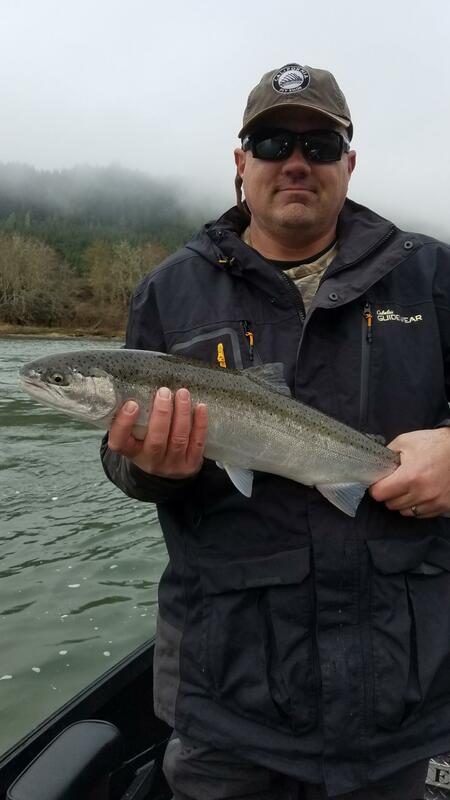 The steelhead fishing continues to be good on the klamath, umpqua, rogue, smith, and chetco rivers. 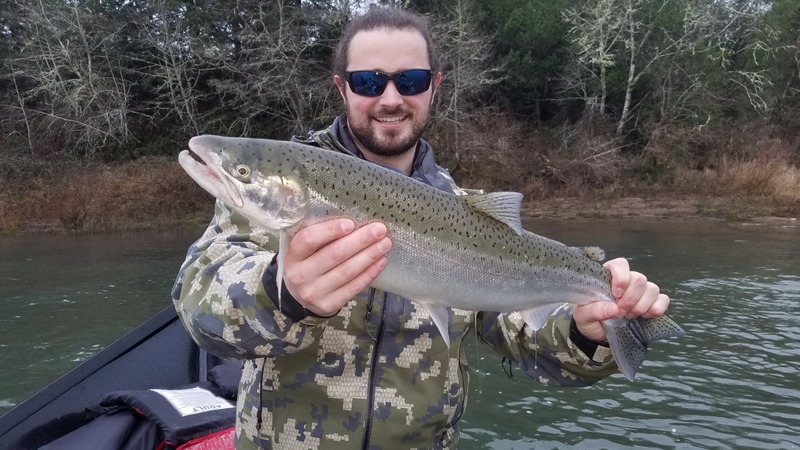 Ironhead Guide Service has been moving around fishing the circuit and has found good success. 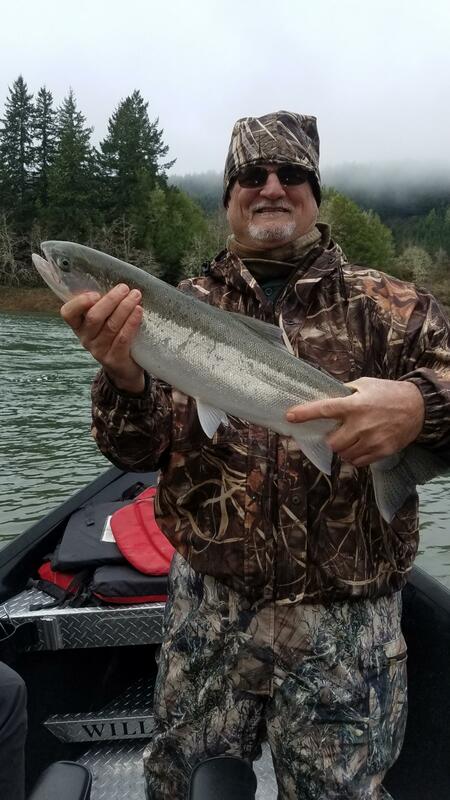 The klamath river has been the most productive and least pressured and the guides have been reporting 5 to 7 adult winter steelhead a day with tons of half pounders to fill the time. The fish have been eager to bite yarn and plugs and the weather has also been cooperating. 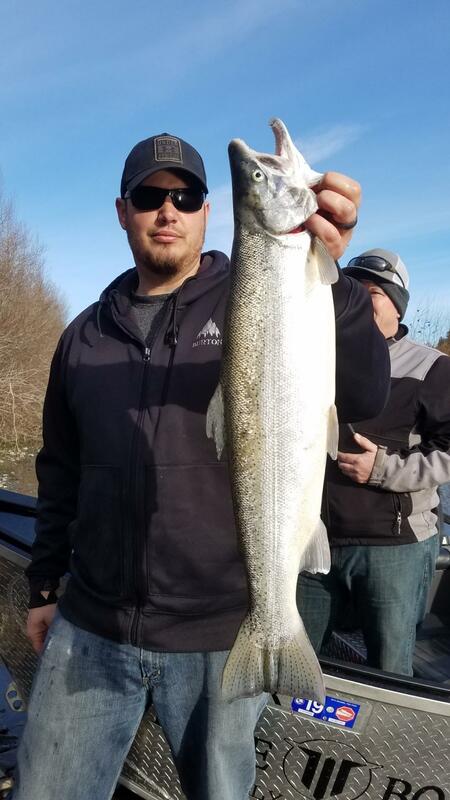 Give IGS a call if you would like to book a fishing trip, you wont be disappointed.